We just got in the pillows we’ve been waiting for! These pillows are super comfy, screen printed with the best selling phrases from the Box Signs that we can’t keep in stock…. 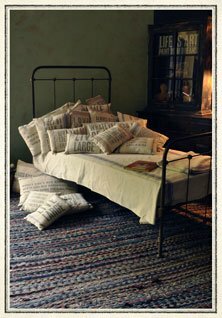 Expressive words are printed on high quality linen, woven to look like well-worn flour sacks. They are extremely soft and have a delicate feel.